This is the most amazing event of the year for kids at Vision Church! 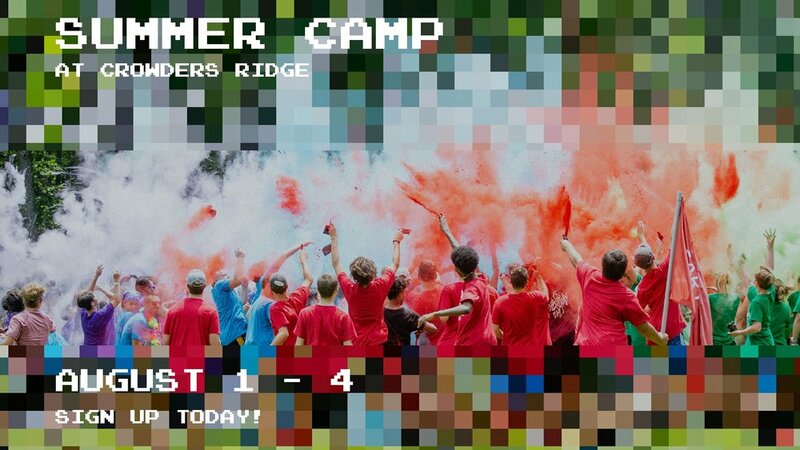 From August 1st - August 4 we will take approximately 25 kids and their leaders back to Crowder's Ridge Camp & Retreat Center (near Crowder's Mountain) for 4 days & 3 nights of fun, music, water games, adventure & great food. These kids will learn about Jesus in an environment that is safe, creative and gives them a chance to make new friends. Spots will fill up quickly, so guarantee your child's spot with a $50 deposit. Total cost is $200 and includes lodging, transportation, food, all camp activities & a t-shirt. ***A mandatory Parent's meeting will be held at Vision on Sunday, July 14th at 5:30pm. At this meeting, important information will be given and the medical forms will be received. Please print out, complete and bring the participant and medical form to the meeting - one per child.